Mandy Joy ♥: the 100 day project. So excited to begin a new project this year! It's called The 100 Day Project! All you do is think of a project or action you want to do for 100 days in a row and do it! Sounds simple right? You can do anything you want, from 100 drawings in a journal, 100 paintings, write 100 poems, exercise for 100 days, take photos for 100 days, create a podcast for 100 days, the ideas are endless you just have to find what you want to do. This will be my second attempt at this project. Last year, I tried to do 100 days of beaches on fabric. I made it a few days, but it was too complex for the first time. I've not been feeling particularly creative lately, and I don't want to make anything physical so I'm thinking of what to do that is super simple. I have a week to decide, I have some ideas on paper but I want it to be something crazy simple. I have a small notebook that I keep in my everyday bag, so it's going to be something that I can put in there everyday. Just need to figure out what! Last year, my Mom participated in the project. She made 100 days of baby doll clothes! She actually sewed clothes everyday, and my daughter Hadley loves them. She's made bathing suits, life jackets, baby bed, blankets, book bag, dresses, it was awesome. I hope she decides to do it again this year, maybe not something that is super physical, but something at least. The official start day is one week from today, Tuesday 4/2/19. 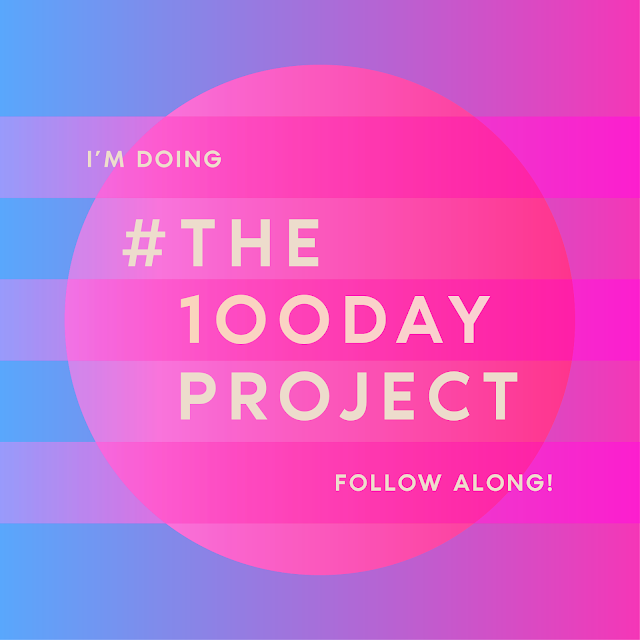 You can go here to read more about the project, follow along with the facilitator, or follow the hashtag #the100dayproject. I think the hardest part of this project for me will be that there are no rules, no guidelines to follow, or anything like that. For some people, that might be amazing but I do better when I have something to go by or follow along with. Which is another reason why I want to push myself to do this, even if it's a simple thing I do each day. To put it in simple terms, here is my understanding of how the project works. Think of a project idea. Announce your project. You can tag your project with your own unique hashtag, and also use the #100dayproject hashtag so people can follow along, and the facilitator can find you also. You'll do this idea everyday for 100 days and post on your Instagram account. On April 2nd, create and post everyday for 100 days! Blog about it, or document your project. So what do you think? Want to do this with me? I can't wait! I need something to keep my brain busy from the normal everyday life happenings and I think this is just what I need. P.S. The founder of the 100 day project went to UC! Read about him Michael Bierut!